Highly concentrated probiotic formula enhances natural bacteria to aid in decomposition of sludge and bottom muck. Treat all year long with cold/ warm water strains. 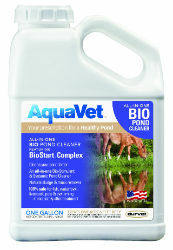 BioStart complex offers new technology to provide starter food for spores upon entry to water. Apply monthly for 90 days then every other month until muck is gone. Requires a shallow water solution that enhances depth by removing muck, sludge and organic buildup. 1 LIQUID GALLON or 4 THROW PACKS will treat 1surface acre 4 to 6 ft deep. Curative: Apply monthly for 90 days then every month until muck is gone or every 30 days for 6 months for heavy muck. Maintenance: Treat every 60 to 90 days.